Swiss take their cheese making quite seriously. As reported by Reuters, in an attempt to take the process to another level, their scientists did thorough research on the influence of different types of music on the quality and taste of cheese. The anxious wait for the final verdict is over, and the winner is – hip-hop! The study was done by the Swiss cheese company Beat Wampfler and a team of searches from the Bern University of Arts. Using nine wheels of Emmental (or as NME called it Eminemental) cheese, each of these was exposed to a different continuous 24-hour music loop directed at each wheel individually. As is usual with all true scientific experiments, there was a control. ‘silent’ cheese, and three other wheels listened only to low, medium and high frequencies. After six months, specialized food technologists from an independent company examined all the wheels and their first conclusion was that the cheese exposed to music had a milder flavor that the four deaf tones. Their winner in the category of stronger aroma and stronger flavor was the jazzed-up stuff. The test then went to a jury of culinary experts, who had a double round of blind testing. Not sure whether they were also A Tribe Called Quest fans, but for them, the hip-hop cheese was also a winner. 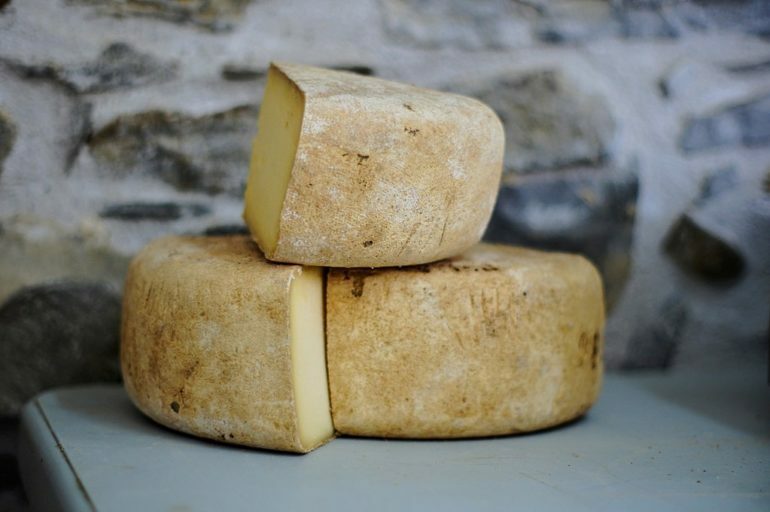 Company owner Wampfler told Swissinfo that the experts thought that “Jazz” cheese was “remarkably fruity, both in smell and taste, and significantly different from the other samples.” The test actually continues with a biomedical survey that will check possible differences in the structure of musical cheeses. Also, Wampfler plans to expose another set of five to ten wheels of cheese to different hip-hop material to see if the results will match A Tribe Called Quest.